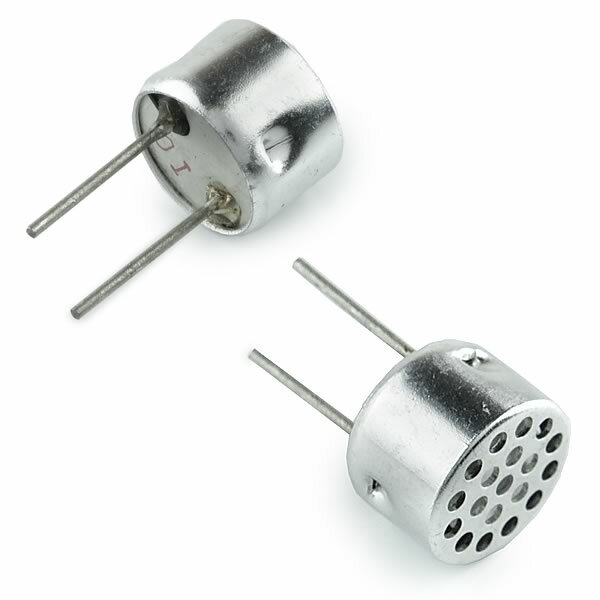 Tiny 40KHz ceramic ultrasonic sensor is only 0.38" diameter x 0.26" tall. Great for making ultrasonic sniffers, bat detectors, motion detectors etc. Sorry no other specs. Brand new - Sold in a package of 2.